The Well Women Centre is run by women for women. We aim to provide a quality, ‘needs led’ service, promoting positive emotional health and wellbeing by offering a range of health information, education and supportive services. Our counsellors work within the code of Ethics and Practice of the British Association for Counselling. All our counsellors have full DBS clearance. The centre also has a team of 15 dedicated volunteers and offers placements to 25 counsellors every year. 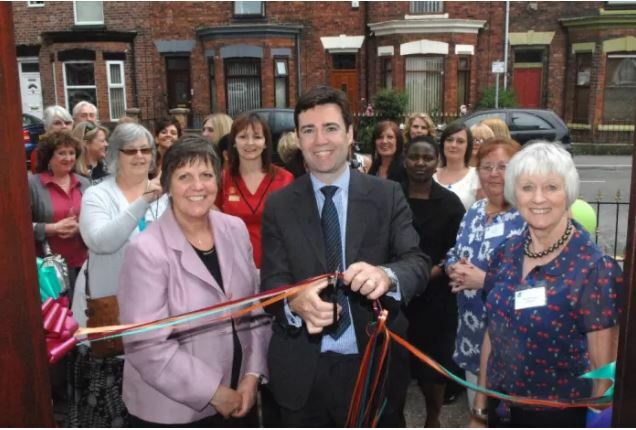 The campaign for a Well Women Centre in the Wigan Borough began in the summer of 1988. A survey of women throughout the Borough was undertaken in 1990, which clearly indicated an overwhelming need for a local Well Women Centre in addition to the services being offered by the local Health Authority. The Centre became registered as a charity and limited funding was made available through the Urban programme to set up and run a Well Women Centre based in Leigh and the doors of the Centre opened in May 1991. It soon became apparent that a service for younger women and girls would be a beneficial addition to the service already provided and in 1995 the WISH Project was launched. The year 2000 saw the addition of the Counselling Service which now forms an integral part of the services offered to the women of the Borough. The company Women for Well Women, a company limited by guarantee registered number 2668110, and a registered charity, number 1041937, now has a partnership agreement with Wigan Council, which provides limited core funding to help run the Centre, along with funding from The Criminal Justice System and The Big Lottery. Alongside the core funding supplied by Wigan Council, The Well Women Centre is constantly seeking funds to enable the Centre to continue, to run courses, support groups, special events and the Counselling Service. The Centre currently has seven part time members of staff made up of the Centre Manager, three Outreach Workers, a Counselling Co-ordinator ,Administration/Finance and one Advocacy Worker. The aim of Women for Well Women is to work in a co-operative way offering support to all women involved with the Centre. Empowering women to take control of their emotional health and well-being, through support and education, enabling them to make positive life choices. The Centre is run by women for women. It is a non-clinical place with an unhurried and relaxed atmosphere. The Well Women Centre is run by women for women and we wouldn’t be able to function without our team of dedicated volunteers. There are usually in the region of 20 volunteers involved with the Well Women Centre and WISH. These volunteers cover a range of duties including membership of the Steering Group, staffing drop-in sessions and supporting groups. Volunteer Counsellors are the mainstay of the Counselling Service; the Counsellors are at varying stages of their careers from trainees to fully qualified Counsellors working towards professional accreditation. Q: Is it a medical centre? Q: Who can come to the Centre? Q: How do I access the service? Q: How much does counselling cost? A: As we are a charity, we greatly appreciate and welcome any donations towards maintaining the service. A: All services provided by the Well Women Centre are confidential, unless it concerns child protection, criminal activity, or a safeguarding issue. All counsellors, volunteers and staff are DBS checked.